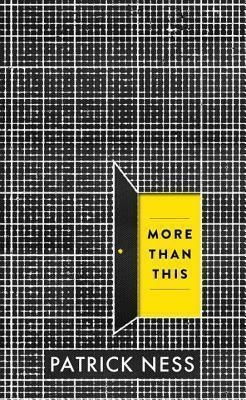 From two-time Carnegie Medal winner Patrick Ness comes an enthralling and provocative new novel chronicling the life -- or perhaps afterlife -- of a teen trapped in a crumbling, abandoned world. A boy named Seth drowns, desperate and alone in his final moments, losing his life as the pounding sea claims him. But then he wakes. He is naked, thirsty, starving. But alive. How is that possible? He remembers dying, his bones breaking, his skull dashed upon the rocks. So how is he here? And where is this place? It looks like the suburban English town where he lived as a child, before an unthinkable tragedy happened and his family moved to America. But the neighborhood around his old house is overgrown, covered in dust, and completely abandoned. What's going on? And why is it that whenever he closes his eyes, he falls prey to vivid, agonizing memories that seem more real than the world around him? Seth begins a search for answers, hoping that he might not be alone, that this might not be the hell he fears it to be, that there might be more than just this. . . .
--Kirkus Reviews (starred review) Books are often described as 'mind-blowing, ' but this is one of the few books in which, while reading it, I have exclaimed aloud, 'Oh. My. God.' on multiple occasions. I won't tell you anything else about it. Just read it. --John Green It is a gorgeous story with masterful pacing and unforgettable passages. Patrick Ness is the author of the critically acclaimed and best-selling Chaos Walking trilogy, as well as the Carnegie Medal-winning A Monster Calls, inspired by an idea from Siobhan Dowd. Among the numerous awards he has received are the Guardian Children's Fiction Prize, the Booktrust Teenage Prize, and the Costa Children's Book Award. Born in Virginia, he lives in London.